Hey Coffeeholics! Yes I know the title of this post sounds so anti-coffee.. haha. But I must confess, ever since milk teas became a hit here in the Philippines, I have slowly found myself falling in love with tea as well. After all, tea also has caffeine in it right?! 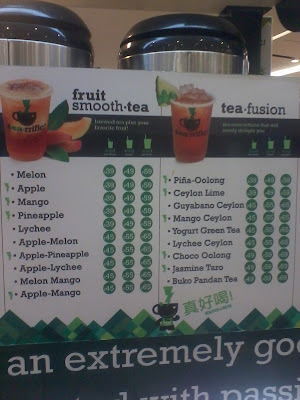 (haha excuses excuses..) Well I just want to share to you one of my recent "milk tea" discoveries! Tea~rrific - an extremely good, healthy, and yummy tea beverage, created with passion! So I was at SM City Annex the other day and had my laptop cord and plug fixed at SM Cyberzone. Has anyone been there already? Its really REALLY big! The Cyberzone occupies the 4th and 5th floor of SM City Annex. So in order to get the best deal possible for my laptop dilemma, I checked out and inquired at a lot of stores until finally I found the 24th Avenue at the corner of the 5th floor! I only had to pay Php 300 as compared to the others who wanted 100 deposit plus 500 for the repair fee and an additional 200 for any parts that needs to be changed. Anyway while waiting for it to be repaired, I checked out the food stalls at the Cyberzone area coz I was getting hungry and stumbled upon THIS! 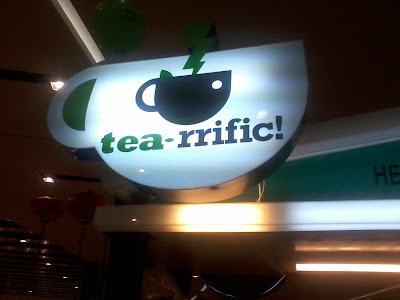 Tearrific! is actually part of the company behind Fruitas. When I found out about that, I immediately want to try it out. 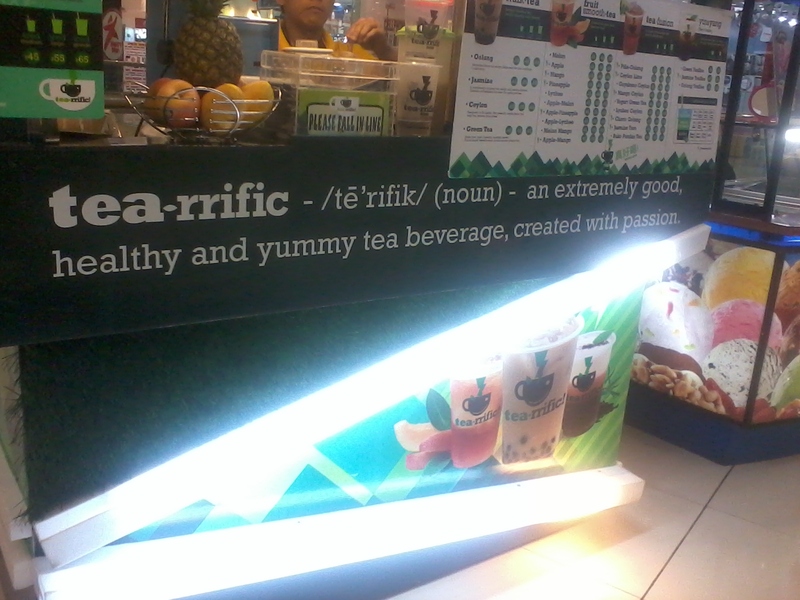 Fruitas is actually one of my favorite fruit shake stalls so I knew that Tearrific would probably taste as good as well. Milk Tea at an affordable price! 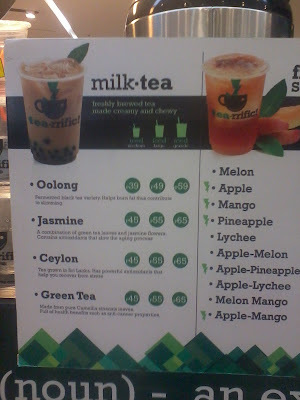 Looking at the prices, I was pretty happy to see the very much affordable price range compared to other Milk Tea brands! I had no idea what to try out first though so I asked the sales clerk what was their best seller. 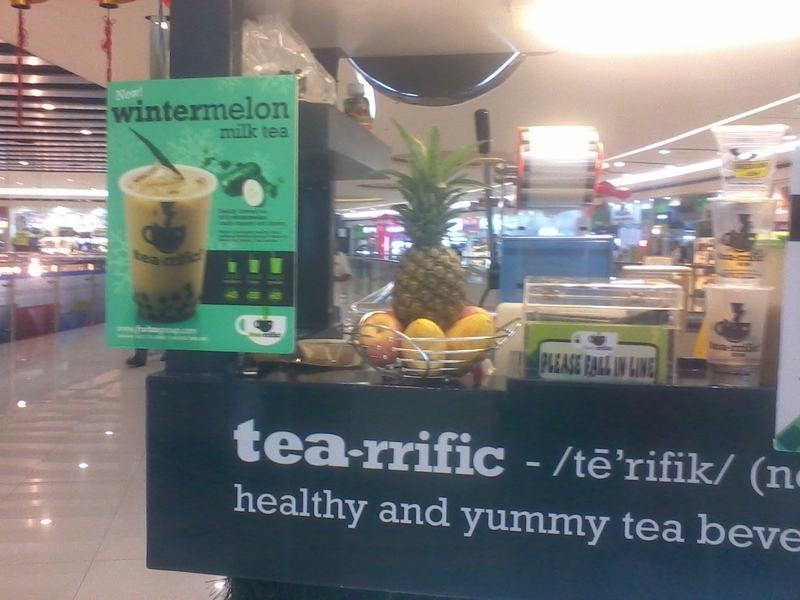 Wintermelon Milk Tea at Tearrific! Bestseller = Wintermelon Milk Tea! Oh yeah! Since I already tasted it from other brands, I figured I might as well try this one out. The grande size was only Php 65! (I ended up buying the grande size coz there wasn't any other sizes available that day.. hmmm.. strategy? Hahaha!) I immediately bought one and crossed my fingers and hoped that I just didn't flush that down the drain. 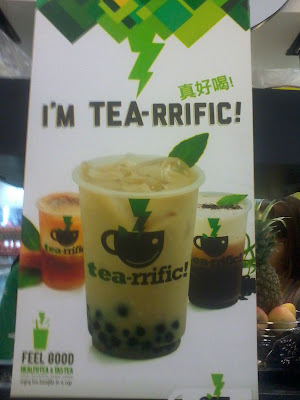 And here's my TEA~RRIFIC! 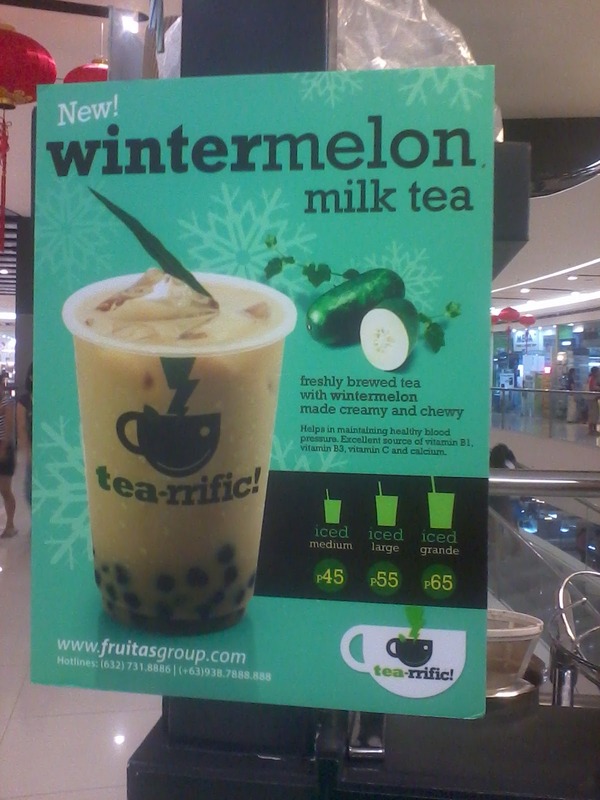 Wintermelon Milk Tea drink! Hmmm so what can I say about the drink? Well first of all, it DID taste like Wintermelon Milk Tea. Haha. I did kinda wondered about the taste because of the low price. It tasted actually nice after it became quite chilled. The drink automatically had black pearls (sago) so I was happy that I was able to eat that while drinking my milk tea. It may not be the best of the best (please don't kill me here.. I'm just being honest! haha) but I think its a great alternative Milk Tea drink if you are on a budget. It didn't wow me but then again it did made my taste buds somewhat happy so I'm ok with that! hehe. Disclaimer: I had no one else with me this time and just took a photo of myself! So Coffeeholics and Tea~holics, have you tried out Tea~rrific already? If not, then why not try it out especially if you happen to drop by at SM Annex (I don't know where the other stalls are...). Its easy on the pocket and who knows.. it might just suit your taste palette! Hope you all had a Tea~rrific weekend!